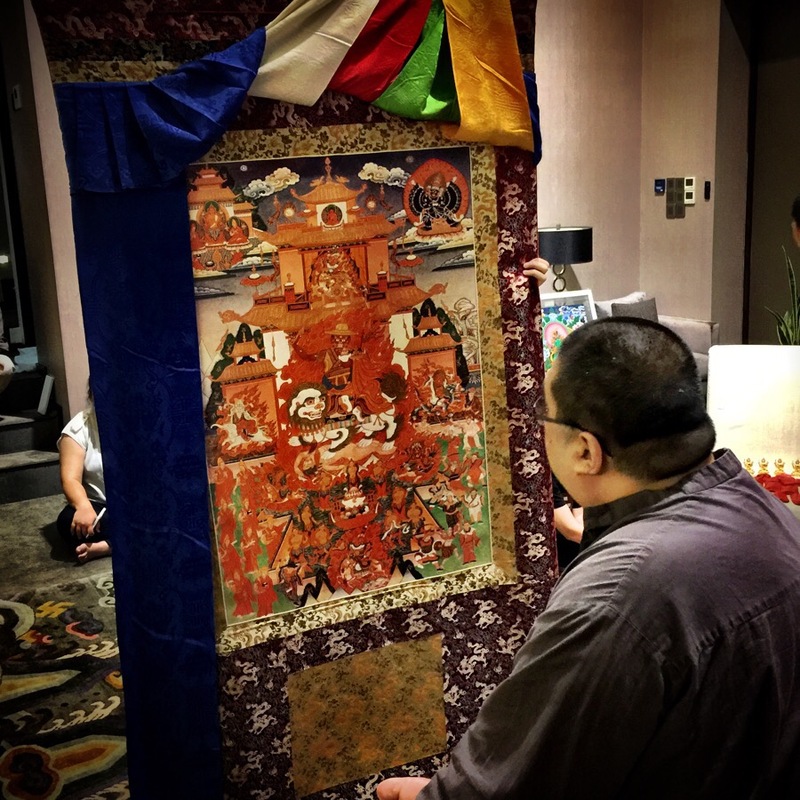 Tsem Rinpoche inspecting a thangka. Rinpoche has always loved Buddhist art, not just for aesthetic reasons but for its symbology and meaning, and the fact it depicts an enlightened being and a path that, if we wholeheartedly rely on, can bring us to that same state ourselves. So for Rinpoche, it is very important that Buddhist art is iconographically correct because the enlightened beings manifested in a specific way for a specific purpose, and we should therefore reproduce and record it correctly.